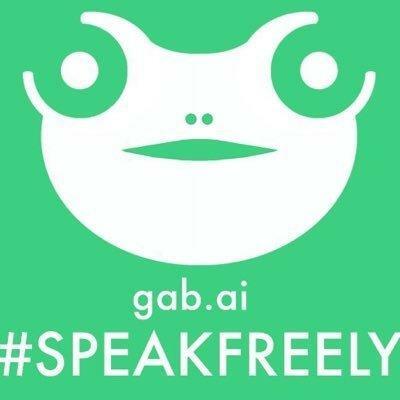 Gab is a Twitter-like social media outlet which has taken a firm stand for free speech. A great home for people like me, who have seen friends suspended or banned from Twitter or Facebook, largely for expressing Christian and/or conservative opinion. I first got on Gab when some of my friends in the Conservative-Libertarian Fiction Alliance (CFLA, a FB group which has migrated to MeWe) recommended Gab as a social medium. But when I first got to Gab it was dull. It took me a while to realize it was because while I had hundreds of friends/followers on Twitter and Facebook, I had about 25 in those early months on Gab— and some of those are now inactive on Gab. How do you go about getting followers on Gab? First, POST. Post to your own followers, but also post a few things in popular Topics, where other people can see them. What are Topics? They are classifications for public posts— posts that the whole Gab community can see. Members can create their own topics, and most of those topics fizzle out. Some topics are dumb, or rude, or even hostile to different groups of people, from Jewish people to Trump supporters. Since Gab is popular with actual conservatives and also with some non-liberal extremists, liberals/progressives try to band together with topics, while others post in the topics of News and Politics and find support for their opinions. Since I’m not on Gab for the politics, I started my own topic called Books and Authors. I’m hoping to encourage a more literary form of discussion on Gab. I’ve posted about some of the books by my author friends from the CLFA, and a few other people post there as well. I get a little response, and I hope to post at least 1 thing to the topic every day to keep the topic alive and encourage others. Another way to meet people on Gab is to join one or more Gab groups. You have to be a paid member of Gab to start a group, so I can’t start one of my own— too low-income to be a paid Gab member. But I have found one or two groups of interest. Once you are regularly posting on Gab, you see people you might like, or share opinions or interests with. They may start following you, in which case you can follow back unless they are hookers or nasties or something. But don’t be shy! If you keep seeing certain people when reading or posting on topics, follow them! They may follow you back. Since Gab is a free speech medium, and since it has public topics to which anyone can post, you may see opinions you don’t care for. Anti-semitism, for example. On Twitter they claim to be censoring for things like that. But the term ‘kill the Jews’ was trending on Twitter some time ago, so Twitter is full of not-nice people too. It’s just that on Gab, because of the open topics, you can see such people, while on Twitter you have to search for and then follow them to see their posts. I don’t like anti-semitism, so I put an Israeli flag into the middle of my username on Twitter, and on Gab and MeWe as well. If I really was sensitive about seeing things like that, I would not look at the topics, and would instead confine my Gab activity to some safe Catholic and Christian groups, and maybe the cat picture group, and to my Gab friends. But personally I feel that just because a person has some wrong opinions it doesn’t mean I don’t think they should enjoy freedom of speech, and I don’t think ostracizing the ‘Nazis’ will make them fit into society better. I think that Gab has a lot of potential for authors who want social media presence without having to become the kind of progressive zombie that modern society seems to approve. You won’t get your account suspended for posting the wrong Bible verse, at least. And Gab members call themselves the Gab family— we like each other, even if we don’t always care for one another’s opinions. 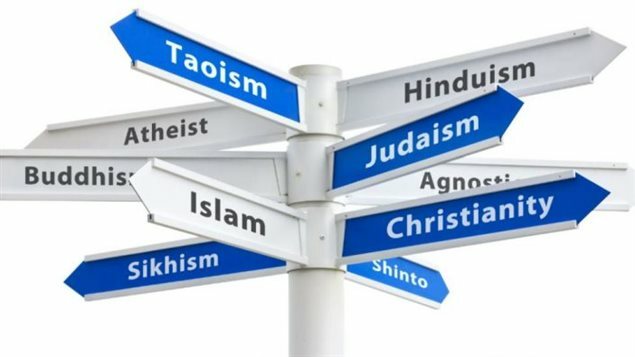 One of my pet peeves, now that I’m Catholic, is the fact that many Evangelical Christians sometimes use the word ‘Christian’ to mean the totality of people who are ‘saved’ enough to go to heaven, and at other times use ‘Christian’ to mean ‘Evangelical Christian’ or even ‘Evangelical Christian like the ones in our church.’ Since I was brought up in an Evangelical-ish Presbyterian congregation and only converted as a mature adult, I resent being sometimes ‘outside’ the Christian fold in the speech of such people. Sadly, this thinking has gone beyond messing up Evangelical Christians. I have heard of a Catholic husband who corrected his wife, saying ‘We’re not Christian, we’re Catholic!’ Obviously he had imbibed the idea of ‘Christian’ as ‘Evangelical Christian,’ and may have felt that he was sticking up for the Catholic faith against a faith-compromising wife. Some Evangelicals, aware of this, like to use the term ‘Bible Christians’ to differentiate between themselves and between Christians like Catholics and Eastern Orthodox that they consider ‘beyond the pale.’ But from a Catholic perspective, I would resent that. Who is it that preserved the New Testament manuscripts and copied them— not to mention deciding which Christian books were a part of the Bible like Revelation and Romans, and which books, though good, did not make the cut, like the Didache and the Shepherd of Hermas? Protestants and Evangelicals didn’t come along until centuries later. 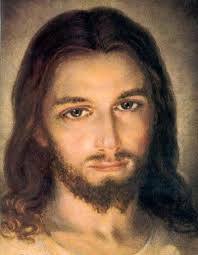 So— when Joel Osteen urges listeners who have prayed the ‘sinner’s prayer’ to get themselves in a ‘good Bible-based church,’ I consider my own Precious Blood Catholic Church to be one. In my lifetime, popular culture has gone from thinking of Christians as virtuous but dull, to characterizing Christians, particularly those who stand up for unpopular teachings, as ‘haters,’ homophobes, and misogynists. We writers who are Christians need to stand up for Christianity as a whole— not just those bits of Christianity we know from our own denomination or church congregation. Now, I don’t think there is anything at all wrong with a writer who happens to be Methodist or Lutheran or Pentecostal or Catholic using their own specific faith in their fiction, rather than a generic homogenized ‘Christianity.’ Back when I was a Missouri Synod Lutheran, I would have loved to read a Christian sci-fi or fantasy novel that mentioned the ‘means of grace’ or quoted from Luther’s catechism. And I now have favorite Catholic authors that are explicitly Catholic in their works.